Molnlycke Mepilex Ag (4" by 4", part number 287100) foam dressings are designed for chronic or acute wounds with medium exudation. It features the Safetac technology, which minimizes the pain and damage to the wound area when the dressing is removed for changing. Pack of 3 boxes (5 dressings per box). 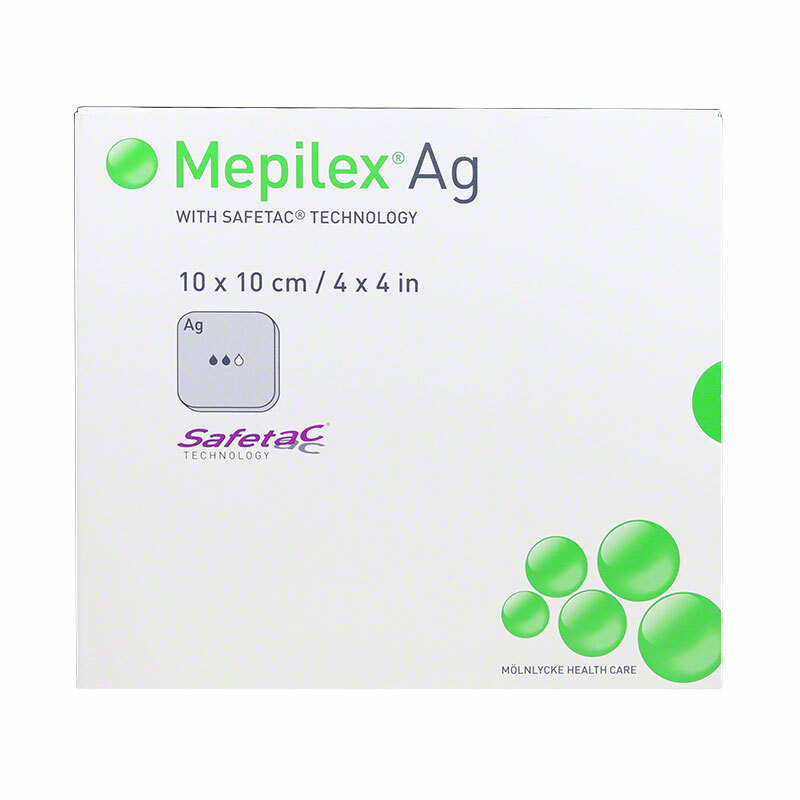 Molnlycke Mepilex Ag (4" by 4", part number 287100) foam dressings are designed for chronic or acute wounds with medium exudation. It features the Safetac technology, which minimizes the pain and damage to the wound area when the dressing is removed for changing.